Discussion in 'Masonic Blogs' started by My Freemasonry, Jun 11, 2011. According to a Wikipedia entry updated yesterday, Academy Award-winning actor Richard Dreyfuss is now a Brother Mason in the jurisdiction of the Grand Lodge of the District of Columbia F&AM. Making a Mason "at sight" is a power and prerogative in many jurisdictions (but not all) for a Grand Master to declare a man to be a Master Mason with an abbreviated ceremony, and without requiring the candidate to participate in the traditional initiation, passing and raising. In some grand lodges it is perfectly acceptable, while in others, it is forbidden. Such events are quite rare, and usually reserved for very special cases. The practice dates back to at least the 1730s in England, and was named by Dr. Albert Mackey on his list of Landmarks of Freemasonry. These Landmarks are not by any means universal. Brother Dreyfuss won the Academy Award for Best Actor in 1977 for The Goodbye Girl. In 2001, he was the on-camera presenter in a documentary entitled Mr. Dreyfuss Goes to Washington, which was co-sponsored by the Grand Lodge of D.C., and produced by Past Grand Master Akram Elias. Yeah. My thoughts as well. So is he ever going to come back and actually take part in degrees somewhere, or? Mixed emotions about this one. On one hand happy to call him "Brother", on the other hand it seems to "cheapen" the honor bestowed both in the Blue Lodge and the Scottish Rite. I do not agree with the GM's decision in this instance. At sight? Is this France or what? Ditto that! Blue lodge and SCCR? A stretch in any book. Totally admire Brother D's work in film and the endeavor he received this honor for attempting. Don't know much about his personal life, but that has to tell you something when dealing in the world of celebrities. Still, how many brothers know that brother John Wayne was made a mason on sight at a lodge in Arizona? The fraternity glorifies that one. Kind of puts a blanket on worldly weath or honors now, doesn't it? Before you slap yourself on the back and say YES, consider how often a candidate comes into your lodge and gets big-splash greeting and is followed intensely by some while another brother, who ultimately proves himself to be more qualified, is hardly noticed. Just a painful observation. We need these now and again; if for no other reason than to adjust our sails and get back on coarse. As I discovered last night, the wikipedia entry claiming Mr Dreyfuss was made a Mason "at sight" the same night he spoke at the 200th anniversary banquet of the Grand Lodge of DC, suddenly disappeared because it was not sourced. My opinion, and its just my opinion, is that this whole thing is just a hoax until someone can verify it actually occurred. Mike, perhaps you should contact Brother Hodapp and mention your findings to him. See what he has to say about it. 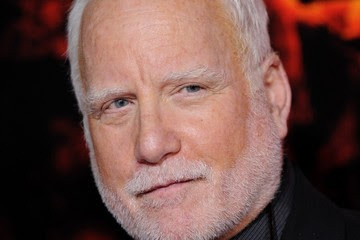 "On June 10, 2011, Richard Dreyfuss was made a Master Mason "at sight" by the Grand Master of Masons of the District of Columbia at the Washington DC Scottish Rite building, as well as a 32nd Degree Scottish Rite Mason. That evening he spoke at a banquet celebrating the 200th Anniversary of the Grand Lodge of the District of Columbia, about the Dreyfuss Initiative, a Research Society promoting civics and enlightenment values to be headquartered in Charleston, WV." For me personally, I have not been around long enough to render an informed opinion other than to scratch my head about it. I have no idea what the Texas Grand Lodge position is on this form of acceptance and initiation. It does make me wonder how many other "celebs" of one kind or another may want to step up with something like this to obtain an "instant reward". It does make me wonder how they will learn and receive the "Masonic Light" that I did and most others have done through asking, knocking, having the door opened, receiving the degrees and the interaction of the brotherhood in the proficiency work. This "at sight" thing is almost as if it is a different form of masonry. I think the rub may lie in whether another brother may feel as if his degrees and work may have been discounted and that he is not truly on the level with another brother. While Brother Dreyfus' form of acceptance and initiation will no doubt contribute to some interesting conversation in the lodges this week, and whether we agree or disagree with this process, I hope that in the dialogue we remember that ultimately what we as individuals get out of our brotherhood is dependent upon the work we put into it . . . I'd like to hear that some of these folks do go back and put in the necessary work. Not sure we aren't selling some or most of them short. My thoughts exactly. Part of the reason we memorize our work is so that we ALWAYS have it handy to study and review as we need. The most rewarding thing for me, masonically, is drawing new connections with the ancient material I've learned. I understand some of the concerns that are being voiced over One Day Journeys, what is not being taken in consideration is the alarming rate of the loss of our Masonic Brothers. On Oct. 30, 2010 a massive recruitment was done in PA where an initiate could become a Master Mason, Receive 32 Degree, and become a Shriner all in one day, there was 1,937 Initiates. Sounds like a lot but there are more statistics that frighten me more. In 2009 alone, there was a total loss of 2,918 Brothers for various reasons (death, illness, etc.) and in 2010 a total gain of 449, the first membership growth in 50 years!! That's Frightening!! If these journeys are not taken there won't be anyone to pass the knowledge & skills on to cause not enough members are joining. I too just was Raised in a One Day Journey on 6-11-2011 but I have every intention of getting all knowledge & skills being offered to me. When I look at the other Brothers in my Lodge I see the past (meaning none of them are young) I myself am 47 years old and most of them are in their late 50's & 60's and retired. The younger crowd aren't interested in joining an that scares me. If someone else has some input on this I would love to read it. Please don't be too quick to judge. Good Luck Brothers!! I was there, and I witnessed Mr. Richard Dreyfuss, become Brother Richard Dreyfuss. Here is what happened: We met in the Scottish Rite building, 2800 16th St NW, Washington DC, at 0900, 10 June 2011. Mr. Dreyfuss began the EA degree at 0930am. He took the standard Craft degrees, using the proper ritual of the Grand Lodge of Washington DC, F&AM. He was not made a mason "at sight". Brother Dreyfuss took the EA/FC/MM degrees, in due and ancient form. He was made a Master Mason, and he is a member of Potomac Lodge #5, WashDC, Grand Lodge of Washington DC, F&AM. He was then made a Scottish Rite Mason. The 4th, 14th, 18th, and 32d Degrees of the Ancient Accepted Scottish Rite (Southern Jurisdiction, USA). He is now a 32d degree Scottish Rite Mason. Some, but not all, Grand Lodges, have provisions, where a Grand Master, can make a man, a Master Mason "at sight". There are reports, that Shaquille O'Neal, was made a Mason "at sight", recently. I'm a recently raised California Mason and my Lodge is in W. Los Angeles (#520). I'd be pretty lit if they started herding celebs through "at site." It took me a year to reach the sublime. I feel a deep connection to all Brethren around the world. I feel that way because I truely love the fraternity. I still do not agree at all with the procedure. To me it cheapens the whole process and leaves me feeling dirty. I'd like to comment on this if I may. I agree that I don't like the procedure. However, I don't agree with the feeling dirty part, and I think that you do yourself a disservice by looking at it this way. Is the process cheapened in the manner that it was done? The brethren at Potomac Lodge #5 apparently don't think so. I, however, would tend to agree with you that the value of the process might be lessened, and that it's a disservice to the candidate to be made an "Insta-Mason." Masonry, like all worthy endeavors, repays in proportion to the effort put into it. As a recently raised MM, I am trying to get the most I can out if the fraternity and am trying to learn all I can about its history, traditions, and all the rest. I wonder, though if I would be so gung ho about receiving "all the light this lodge could bestow" if I had not had the memory work and the proficiencies to go through, as well as the time invested in leaning the work and in reflecting on the degrees and their meanings. I don't feel dirty about what happened with Bro. Dreyfuss. I do, however feel sadness for him that the experiences that I hold so dear from the process of going through the degrees is something that he will never experience. Like so many things in my life, Masonry is as much about the journey as it is the destination. Did he approach the lodge about membership? According to Brother Hodapp, "That evening he spoke at a banquet celebrating the 200th Anniversary of the Grand Lodge of the District of Columbia, about the Dreyfuss Initiative, a Research Society promoting civics and enlightenment values to be headquartered in Charleston, WV." Did he ask to be made a mason or was the idea of membership "suggested" or offered as a result of his speaking and the Dreyfuss Initiative? Did he voice concerns as it relates to time and schedule for his work? I understand the "big leaguers" schedules can be difficult. Is he still going to have to do his proficiency work? Out of curiosity, anyone know how District of Columbia work compares to proficiency in Texas? I don't sense that it is a PR nightmare. There seem to be many that are raising an eyebrow about it. I don't know what other forum responses are. But, I think that until some of those questions get answered people are going to continue to ask questions and express concern about the degrees and work that they have done may have been discounted and that he is not truly on the level with another "famous" brother. I checked the Potomac 5, Grand Lodge of DC website and the Scottish Rite, Washington website and there is no mention of Bro. Dreyfuss. The problem is that since it is outside the jurisdiction of the GLoT, we may never know.